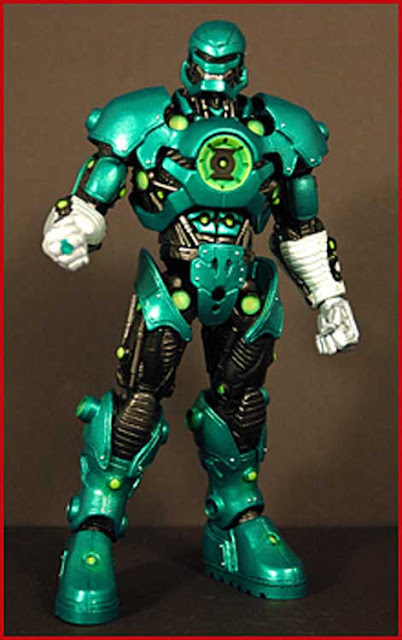 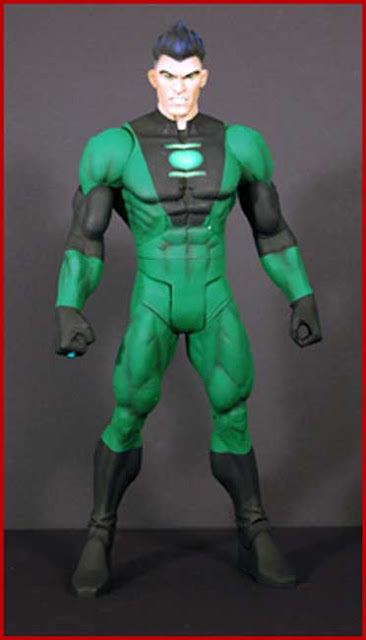 Action Figure Insider (best collector site on the net) reports that Mattel's DC Universe Classics line will be the first to capture the 3D characters from Ryan Reynold's "Green Lantern" film coming in 2011. DCUC's Green Lantern Classics wave 2 will not only include lots and lots of comic toys, but also the film version of Parallax (which for now is just a silhouette, but in the future we will get a peak of fear as it will be portrayed in the movie). 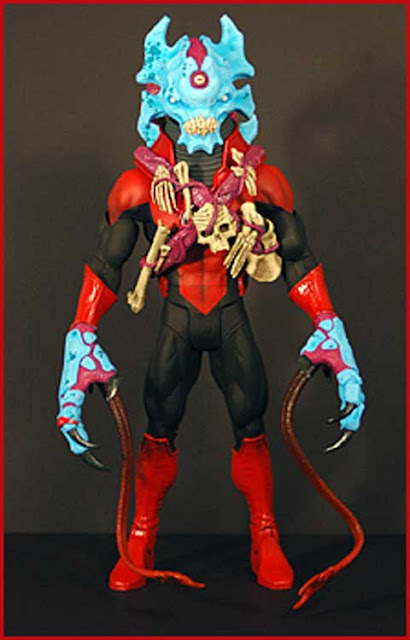 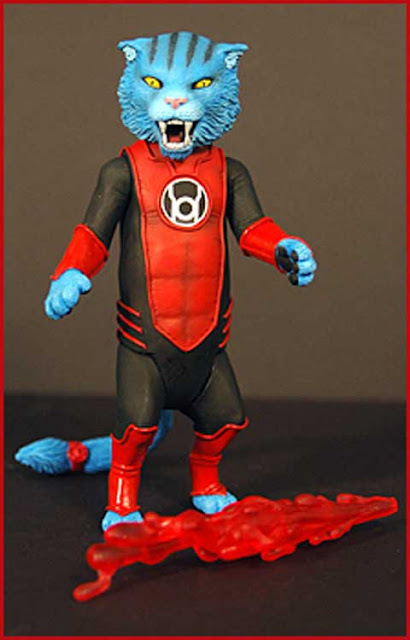 Joining movie Parallax are Nautkelloi and Medphyll (one body with swappable heads), Red Lanterns Skallox and Night Lik, Sodam Yat, Star Sapphire, Varix and the best part of all is a VERY special 3-pack of mini-characters B'dg, Dex-Starr (may favorite Red Lantern) and Despotellis. 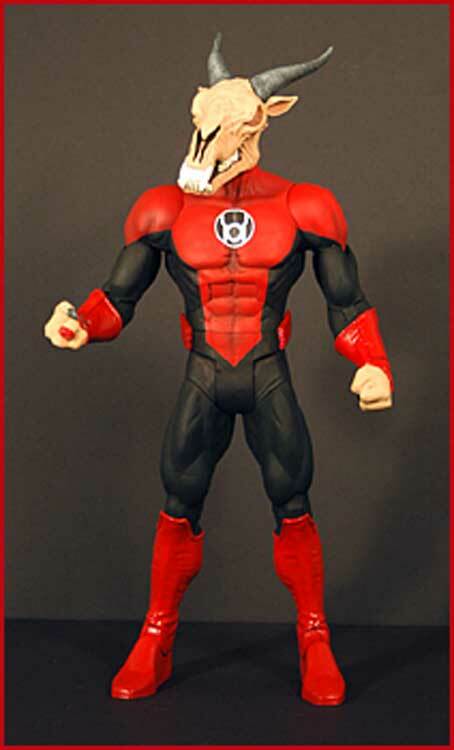 Interestingly, Night Lik is a brand new character created by toy makers the Four Horsemen. 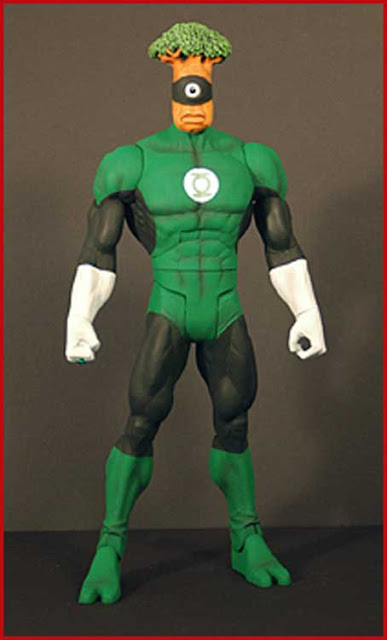 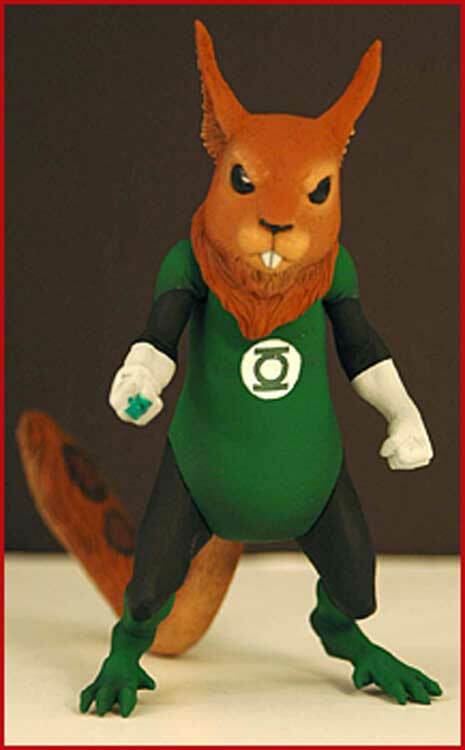 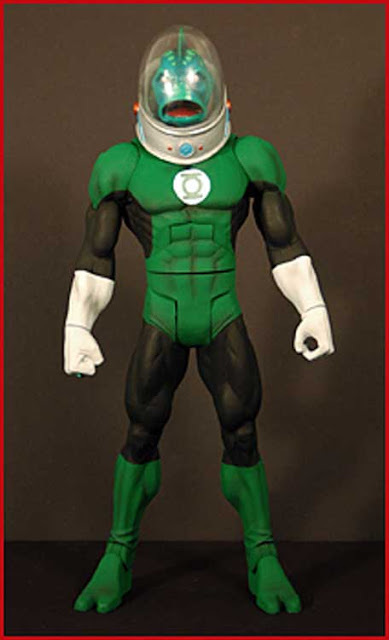 Geoff Johns named the new lantern, who will be appearing in an issue of the GL comic following its first appearance on toy shelves. 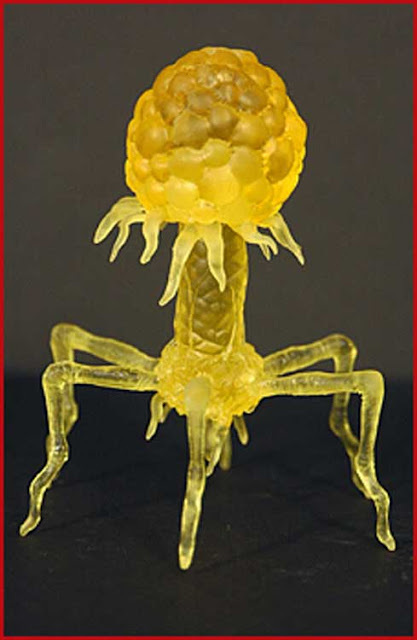 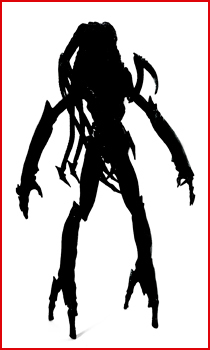 Parallax will be fully-revealed in the January issue of one of my favorite publications, ToyFare magazine. still no Red Lantern Guy Gardner.